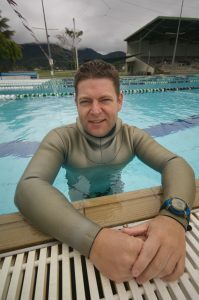 Clinton Laurence is the Principal Freediving Course Instructor of Freediving Gold Coast. 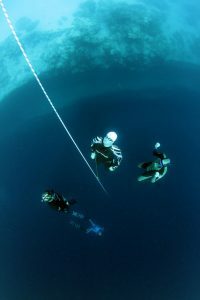 He is an AIDA Master Freediving Instructor (the only Australian instructor at this higher level) and AIDA Judge (Level E) and has been teaching freediving for over 5 years. He believes that everybody who is comfortable in the water has the capacity to extend breath hold times, dive deeper and improve their quality of life through the sport of freediving. 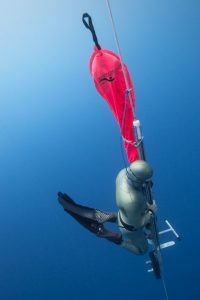 For him freediving is not about competition per se but more about overcoming personal limitations to achieve super relaxation of mind and body and applying these skills in our day to day life to better manage the pressure of modern living. Clinton has always been interested in mind-body disciplines and this is reflected in his profession as a sport and clinical psychologist and prior pursuits of martial arts, in particular judo, karate and aikido where he has reached high degree black belts and competed at an international level. A Bachelor of Human Movement Studies from the University of Queensland. Joint First Class Honours in Psychology and Human Movement Studies from the University of Queensland. Masters of Clinical Psychology from the Australian National University. Consultant Psychologist to the Queensland Academy of Sport and the Australian Institute of Sport. Full-time Lecturer for over 5 years at Griffith University School of Exercise Science teaching the subjects Exercise and Sport Behaviour, Sports Coaching, Exercise Assessment & Counselling, and the Psychology of Injury and Rehabilitation. 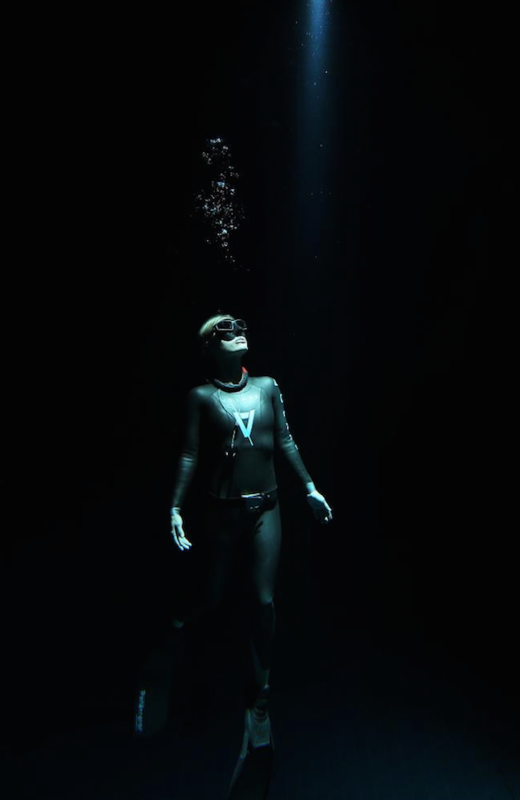 He now works in his private practice as a Clinical Psychologist at Parkside Medical on the Gold Coast and which is also the site for all freediving theory courses. To have fun and safety on the water Clinton is also a qualified professional boat captain (Coxswains), a PADI EFR Instructor and a Pool Lifeguard. For a more comprehensive list of these qualifications click on 100% Safety Commitment. For those people interested in the numbers, Clinton is one of the current top depth Australian divers. He has dived to 60 metres in Free Immersion and 62 metres in Constant Weight. This can be verified on the website of the world record keeping body AIDA International. Click on this link to be redirected to their website. If your instructor is not listed on this website they have never entered an international competition though it should be emphasised that all AIDA International instructors must be able to dive to a minimum depth of 40 metres using bifins to be certified. Clinton diving to 62 metres in a constant weight dive in the Singapore Depth Competition 22nd September 2018. Clinton showing the tag after a successful 62 metre constant weight dive in the Singapore Depth Competition 2018. Cristy Gearon is an AIDA Instructor, AIDA Judge and 1 of 5 members who have been assigned by the AIDA Board to act on the AIDA Youth Commission. She is our commercial skipper (Coxwains Grade 1– Near Coastal) and boat mechanic for our own purpose-built freediving vessel. Cristy’s previous commercial experience in boating has been on fishing charters and sailing vessels. She also was awarded the MED 3 award (Marine Engine Driver’s qualification from TAFE proving that she’s not only not afraid to get her hands dirty – she actually likes it. Cristy is the sole operator of an eco-tour she runs called ‘Water’Bout’ which celebrates the beauty, diversity and ecological significance of South Stradbroke Island’s ‘Jumpinpin’ in the Southern Moreton Bay Marine Park. She holds a Bachelor of Education and has 12 years teaching experience working in the Primary, Secondary and Tertiary settings including mainstream, behaviour units and the disability sector. When she’s not teaching freediving with Freediving Gold Coast or running her eco tour she’s teaching in local Gold Coast High School. She’s looking forward to the day that AIDA introduces freediving courses for children and their families so that families can grow as freedivers together. Cristy is 1 of only 4 female AIDA Instructors in Australia. 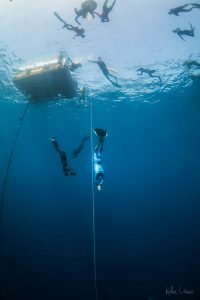 Ben Noble is a veteran of Australian freediving. His freediving career started like most, after watching the movie The Big Blue. Many years later on holiday in Fiji he happened upon an Australian freediver. By chance (or fate) they bumped into each other again back in Australia and started training together in Sydney. In 2005 Ben moved to the UK and started training with various clubs in London and also was a regular depth diver at Saltfree, a freshwater quarry on the Welsh border that was an icy cold 4 degrees at depth! 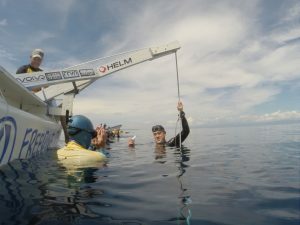 It was here that Ben fine-tuned his depth diving and started to compete in 2006 in AIDA competitions around Europe and Egypt. In 2008 he became the first Australian to successfully complete the AIDA Instructor course and commenced teaching Australians how to freedive shortly after returning to Australian shores (in fact one of his students was a very keen and talented Mr Clinton Laurence!). Ben has kept incredibly busy out of the water over the years as well. Frustrated as a newbie to the sport and having no resources available in Australia, Ben set out early to gain as much knowledge and experience whilst overseas in order to bring it back to Australia and grow the sport. 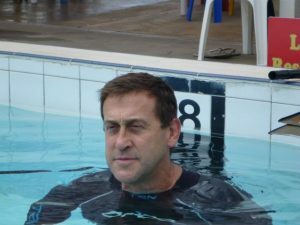 In 2006 he co-founded the Australian Freediving Association and was President of the AFA until 2014. During this time he organised and judged in Australia’s first ever AIDA competition, held in Sydney in 2009. He has also organised some of the largest competitions in Australia and, when judging has been the Head of Safety for Australia’s largest competition to date, the Pan Pacific Championships in 2015. He has also been on the Board of the British Freediving Association and was the Treasurer on the Executive Board for AIDA International from 2010-2014. Ben has been an AIDA International competition judge for over 10 years and is Australia’s most experienced judge, having been fortunate to judge in many locations in Australia and around the world. Seeing the rising talent of Australia’s freedivers over the years has been a huge thrill for him and a sign that the sport is thriving here in Australia. In recent years Ben has taken some time off teaching and competing following some injuries during a Tough Mudder event (he’s always maintained that he is terrible on land) and spending time with his young family. During this time he came to the conclusion that he missed teaching too much and missed seeing the buzz of new freedivers as a whole new underwater world opens up to them. That look a new freediver gives you when they realise they’ve just done something they only dreamed they could do – there’s nothing else like it! Freediving Gold Coast’s vessel was purpose-built for doing exactly what we wanted to do – freediving. This centre console aluminium commercially registered vessel is a 5.2m Ocean Craft made from marine grade plate aluminium forming airtight and watertight tubing. This makes our vessel extremely stable and unbelievably buoyant (compared with other aluminium hulls). The length of our vessel is 5.2m but it’s her width that makes her special as, unlike other inflatables or rescue boats, her width allows for ease of movement around the sides of the boat and contributes to her overall stability. Her length, width, v shaped hull with her shallow draft let’s her move anywhere around the Broadwater with speed and manoeuverability. Basically, she’s a great freediving boat – and we love her. Our open water freediving courses and fun days / open water freediving training days are within 3 nautical miles of shore (just under 6 kms offshore) with the Gold Coast Seaway providing safe access most of the year. The Gold Coast Seaway, the southern entrance to the Moreton Bay Marine Park, had the world’s first sand bypass system built in 1986 and was a credit to Dutch innovation. Without it, our Southport entrance to the sea would’ve continued creeping north anywhere between 4m – 60m per year (it’s called littoral drift). No way, I hear you say. Well, consider this, in the early 1800s, the entrance was opposite where Gold Coast’s Jupiters Casino now stands. In the 1930s, Pacific Ocean access was where Seaworld now is. (If you look across the carpark at the Gold Coast Aquatic Centre some of the old Seaway wall is still there – in recognition of the Southport’s changing landscape). With all that movement of sand it made her unpredictable and dangerous. Thanks to Dutch innovation our permanent sand bypass system helps to keep 500 000 cubic metres of sand shi fting north of the entrance each year. Weather and sea-state permitting and with attention to the rising and ebb tides, there are few days in the year where we can’t safely cross the bar. 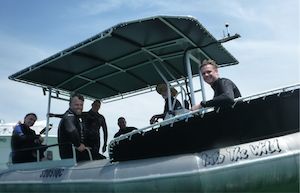 We also use the boat to provide access to the Gold Coast’s Wavebreak Island and diving from the boat in 8 to 10 metres depth of water just off the north eastern part of the island. Wavebreak Island is exactly as the name says – a wave break. It was also constructed at the time of the seaway entrance. It’s become a local favourite spot –accessible by boat only and makes a great little dive spot for discovering and learning to freedive. 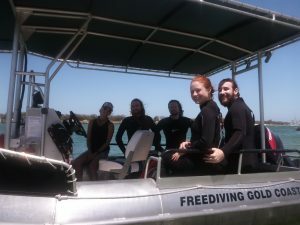 Join one of our freediving courses today and discover just how much fun freediving on the Gold Coast can be. 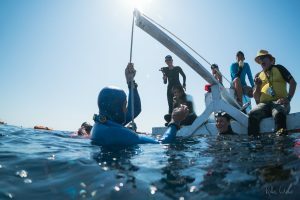 Our freediving school runs courses all year round – whether you prefer ‘winter & whales’ or ‘summer & suntan’ – it’s all relative. 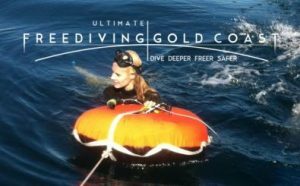 The Gold Coast is perfect for freediving courses and our freediving school with it’s safest bar crossings, open water access, local knowledge and our 100% commitment to safety.